With me being out for the rest of the year through injury (Superficial Thrombosis in my lower leg) I may as well write my review of the year early as I won’t be getting in any more Judo training. I started the year as a green belt but was eager to grade for my blue. 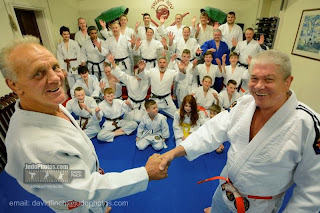 The club saw the return of Duncan, a 2nd dan, who had trained and taught Judo extensively in Japan. Duncan has been a very welcome addition to the coaching staff at Dorking Judo Club and his son has been a very welcome addition to the cadets and has great promise and some lovely Judo. The only competition I entered this year was the Surrey Open Blue Belt and below ( I got a silver last year) but unfortunately due to the lack on entrants it was cancelled for the seniors. • Witley – Run by the excellent Pete Swettenham, who also visited and took several of the classes at Dorking. • Yoshin Ryu – My number two club really. I have only attended their Randori session on a Thursday night but can thoroughly recommend it to anyone who wants some hard randori and also an excellent work out at the same time. All the coaches here are very friendly and have some excellent Judo and this is reflected by the high standards of the students. On a good night there are a dozen or so dan grades on the mat and another dozen kyu grades. • Nova Forca – My number one and only BJJ club. After an absence of a couple of years I managed to get a summers worth of training in with Ricardo and his excellent team in Epsom, Surrey. I don’t think there was a single night when there weren’t at least forty guys present. I’m always made to feel very welcome by Ricardo and will of course be back again sometime next year. Who knows, one day I might actually have the time to commit properly to BJJ. In March I attended an excellent seminar held by Aneta Szcepanska, a former Olympic Silver Medallist from Poland. This was held at Yoshin Ryu where we had upwards of forty people present. April saw me receive my blue belt which made me think I should actually start to feel like I’m getting good at Judo. 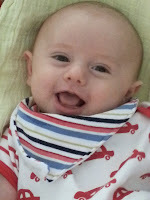 I missed Brian Jacks visit to Yoshin Ryu in June because the arrival of Edward, my son, was imminent. He duly arrived on the 1st July. Black Eagle very kindly sent me their new Judo gi to review. 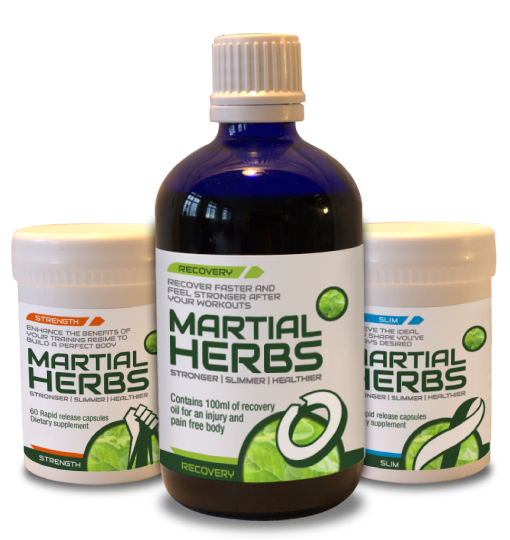 Subsequently I was also asked to review some products from a new company called Martial Herbs who, according to their website, are the premier British sport supplement company providing unique formulas designed especially with the martial artist in mind. I was sent approximately 1 months’ supply of their strength and recovery supplements but due to lots of different injuries, some more serious than others I haven’t been able to finish this review as yet. September was greeted by the good news that Graeme’s son, David, had earned the final 20 points needed to gain his first dan black belt. The BJA decided to change their grading syllabus, without much, if any, prior warning. The main difference affected the brown belt syllabus, which I was working through and included several throws which I had already performed to get my blue belt. A car crash saw me miss some weeks in November with whiplash and although I returned to Judo and completed half of my brown belt syllabus I missed the last class of the year and the chance to get my brown belt due to the injury I have now, a Superficial Thrombosis, which is basically a burst vein in my lower leg. This has resulted in a very large swelling, where the blood collected and massive bruising down my leg and in to my foot. Three visits to my GP and one to A&E confirmed that all I can do is take pain killers and wait for my body to heal itself, which could take anywhere between 3-6 weeks. Andrew received his yellow belt on the last session of the year and he has shown some steady improvement in his game and his overall fitness. Some of his pins are particularly crushing and I’m sure that if he continues to train regularly he could make newaza his forte. At the beginning of the year my main training partners were Oli and Meho but unfortunately both have since left the club for various reasons. Ivan, another regular, who has an incredible fighting spirit, saw injury ruin his year as an operation to fix a damaged cruciate ligament put paid to any training whatsoever. Big Stuart has been another casualty and has been absent the whole year, again due to a knee injury. Also Black belt Stewart has retired from Judo due to work commitments. This has meant that my main training partner for most of this year has been Jadon, a fellow blue belt, although his main club is Guildford Police Judo club. As I’ve stated before, Jadon is the reason that this blog started as I found myself reading his excellent blog in BJJ several years ago now. Jadon stopped blogging but continued to train BJJ at Andy Roberts’s club in Farnborough and was a high ranked blue belt in BJJ before some personal issues got in the way of him training there and subsequently saw him return to Judo, something that he had trained in before as a child. Having someone like Jadon to train with has helped keep me motivated this year and has filled the gap left by Oli. With his BJJ training Jadon obviously has some very good skills on the ground and can normally submit me at will. A victory for me is being able to survive a three minute roll without tapping, something I have occasionally been able to achieve. On our feet Jadon makes up for his lack of size by using his speed. We have had some excellent randori sessions this year and usually we both manage to throw each other with good technique. Jadon has also written some excellent blog posts for me this year which was particularly welcome when I was too busy with work commitments to keep my blog updated. Looking forward to next year I hope to get my brown belt early so that I can concentrate on making a start towards getting my black belt. Hopefully I’ll be accompanied by Jadon, who should be getting his brown belt soon as well. I've enjoyed your blog this year and I feel you are finishing the year a bit down. So I thought I'd give some words of encouragement. I started Judo in my early forties and this year just shy of my 52 nd birthday I obtained my black belt. I don't feel worthy of the belt yet, but it always takes me a year or two to feel comfortable after a grading. I have had many competition losses and numerous injuries. At first it is easy to dismiss injury as age related and be discouraged. However a quick look around my dojo always reminds me that everyone over 16 who competes is in a permanent state of injury. So take time off. Get happy and go get your brown belt. PS: All those people who on the internet who say getting a shodan in judo takes three years and no effort are full of it. It takes many years, commitment, and a total disregard for personal safety. I'm glad you have enjoyed reading my blog, comments like this keep me motivated to keep on writing more. I guess I am finishing the year slightly on a down but providing I recover in time for January I should hopefully have a good start to the new year when I receive my brown belt. With regards to getting my Shodan, yes i've heard lots of people online saying that its no big deal etc but equally I know of many people who get to brown belt and stay there for many years, hopefully i'm not one of them. Congrats on getting your black btw it sounds like it was well deserved. 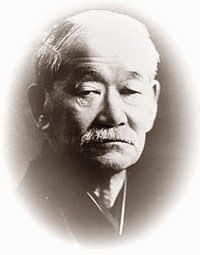 You have had a fantastic year and your judo both in terms of technique and spirit has shown good steady progress. We all go through ups and downs with our judo but the main thing is to keep at it as you are improving. Injuries are never easy to deal with and sometimes they seem like buses. You don't get one for ages and then 3 or 4 come along at once. My advice is take the time out to heal properly. The journey to shodan is a marathon not a sprint. I know you can think of an example where someone rushed back too early. Th seniors at the club have done well this year and the cadets are adding real value to the sessions - each month they will are getting bigger and stronger - but no slower unfortunately. There are a couple of seniors who have shown interest in starting judo, and their is a green belt from another club who is about your size and intends to come down to Dorking once his ankle injury has healed. Oli has not left the club, he is coaching the juniors on a Thursday night and due to current work commitments can not train on Tuesday evenings as well as coaching. He hopes to return to training in 2014. For you and the other seniors 2014 will be a good year. We will see lots of belts change colours, including yours. In my view and that of Peter you are more than ready for your brown belt. If we felt otherwise we would not have started your grading. Your target for 2014 - 1st Dan by the end of the year. Complete your 1st kyu grading by the end of January then start getting yourself to Dan gradings as early as possible. Once you are brown belt you need to start testing yourself against other 1st kyus to see what you need to do for your shodan. I will only recommend you attend gradings when I think you are the right standard. With regard to those who say getting their shodan grade in under 3 years is easy I have a particular view which I will not state as I do not want to start a lengthy discussion. My only comment is to say being a real black belt in judo is about much more than just being able to toss someone to the ground. I hope you and your family have a great Christmas. Have a relaxing time and get fit, as 2014 is going to be a hard year for you. P.S. Posted as anonymous as I don't have an account but I am sure you know who I am. Hi Graeme, I guess there are some people who are able to wizz through the belts and quickly gain their first dan but these genetic freaks are probably few and far between and like you said, it doesn't necessarily make them good judoka just good competitors. See you in the new year when i'll be chomping at the bit for that brown belt. Nice wrap up and thank you for the kind words. 2014 should be a good year, so lets get that 1st kyu and then we can start our campaign of destruction across the south east. How has the blog done this year in terms of readership?. See you soon in the new year!